In 1886, King Ludwig II, the King of Bavaria, was deposed on grounds of mental incapacity without any medical examination. His "diagnosis" remains controversial among historians to this day. Soon after his fall from power, Ludwig died under mysterious circumstances, leaving the eccentric and beautiful "fairytale" castles he had built as his only remaining legacy. While putting away books from an estate sale purchase, rare book-dealer Steven Lukas finds a box he's never seen before wedged between books on a high shelf. In it he discovers what looks to be a small diary written entirely in code, a lock of hair, and old photographs of the Fairytale King. It isn't long however, before his excitement turns to fear as he realizes that mysterious others want the diary too-and will apparently kill to get it. Suspecting that his find may contain the secret truth behind Ludwig's death, Steven consults with art historian Sara Lengfeld. 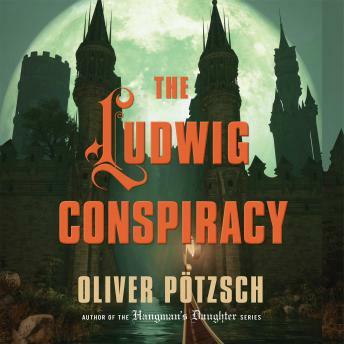 Soon they find themselves on the run together, investigating each of Ludwig's three castles for clues as to just what in that ancient diary could be so explosive as to be worth killing-and even dying-for.